Listing the activities of SiteWeave Portsmouth Web Design including newly published web sites and updating and re-writing existing web sites. Marine Events offer luxury yachting and powerboat days on the South Coast including corporate sailing days, luxury private yacht charter and sunseeker charter. There are a number of special events in 2015 that you'll need to book early! 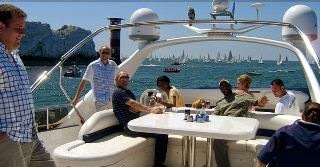 Marine Events are organising some amazing hospitality trips with luxury spectator boats and client entertaining. You've got the Round the Island Race on 27th June, the America’s Cup World Series AC 45′s in Portsmouth from 23rd - 26th July, Cowes Week Hospitality from 9th - 15th August and the Bournemouth Air Show 20th - 23rd August to name just a few. I've just checked the 1st quarter website traffic statistics against last year's & I'm pleased to report that organic listings are up 161% thanks to our SEO efforts. Hopefully this year will be a busy year for Marine Events. I don't think you can beat a great day out on one of their luxury yachts or motorboats whether it be for a corporate or private event on the South Coast. 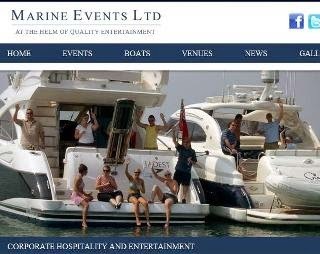 Contact Marine Events today on 01329 835000. Christmas Sales have increased year on year for Transpack and this year has been no exception, although tough competition online from Ebay and Amazon who are now monopolising the E-commerce search engine rankings and making it extremely hard for SMEs to compete! Transpack launced their new website in September and customers have responded well increasing their average spend per transaction. The new look website makes finding the packaging products you require a lot easier with additional searches by size, colour & price available. The top sellers have been Cellophane bags, Mailing bags, Greetings Card Bags & Tissue paper with Packaging Ribbon sales up by over half on 2013. This was helped by the addition of a new range of gorgeous printed ribbons, some new tissue paper colours and these beautiful coloured cello bags. 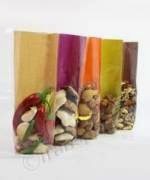 Transpack have also sold a mountain of loose fill packaging, jiffy bags, postal boxes, shrink film and packaging tapes. The last despatch day before Christmas is 23rd December and orders must be in by 3pm. Anything received after this time will be despatched on 5th January 2015. Next year this packaging company will be adding more new products including a new range of brown postal boxes as the white postal boxes and PIP boxes have sold so well. 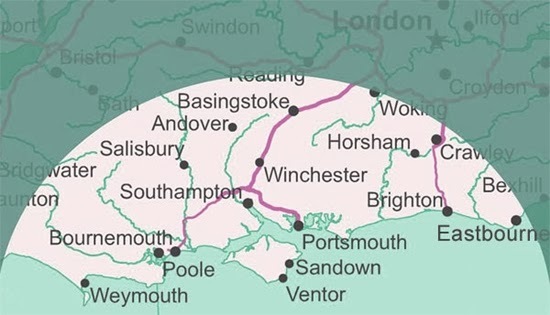 Transpack Packaging Supplies are based in Totton, near Southampton in Hampshire and they have been supplying packaging throughout the UK and Europe since 1953. They are renowned for their friendly customer service team and speedy delivery ensuring over 95% of all orders are delivered next day within the UK. Premier Carriage have the largest selection of wedding cars for hire in Hampshire, Dorset and across the south coast of England. 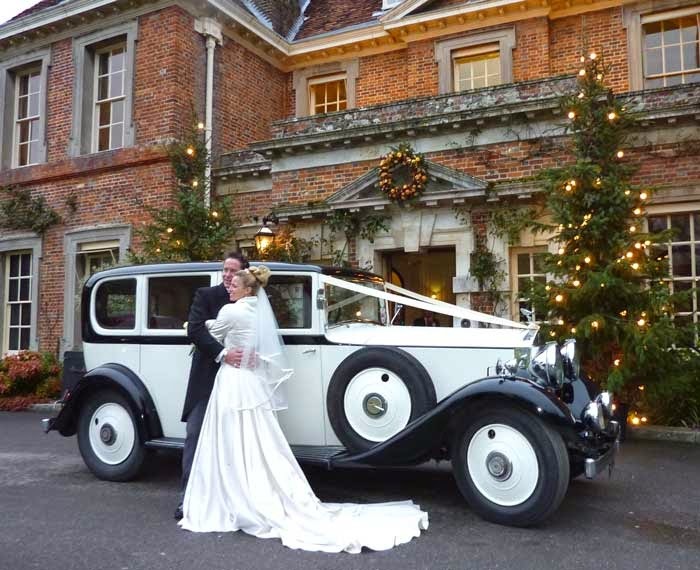 Their huge range of wedding transport also includes horse drawn carriages, old red London buses and VW Campervans. Premier Carriage have some of the highest quality pristine condition vehicles available for wedding hire in the UK including a large choice of rare and quality vehicles at affordable prices. Kath is a friendly, professional dog walker in Portsmouth who also offers pet sitting, puppy visits and cat sitting. Kath ensures your much loved dogs are exercised and cared for during their walks. The emphasis is on play, good behaviour and socialisation and after their walk your dogs will be sleeping in their beds for the rest of the day. Half hour or one hour dog walks offered with flexible walk times in local parks, green spaces or on the beach. Kath is fully insured and can supply references. Kath offers dog walking services in Portsmouth, Southsea, Cosham and Drayton. Kath is also a cat sitter who will visit your home daily to feed, give attention and affection to your cat(s). When you are away on holiday, Kath can make sure that your cats are well cared for and check your property is secure, open or draw curtains, collect mail etc so that there is no indication that the property is empty. Similarly the Pompey Pet Nanny offers pet sitting in Portsmouth & Southsea. Most small animals catered for in a similar manner to the cat sitting services. Kath always has an initial free of charge meeting prior to booking any services to meet the pet(s), understand their requirements, and collect veterinary and emergency contact details. Contact the Pompey Pet Nanny for more information today. Arun Meats is a family owned meat wholesalers, specialising in traditional locally produced meat, procuring top quality local livestock and delivering the meat to butchers, caterers and manufacturers in the surrounding area at competitive prices. They run their own EU approved boning plant giving them control over product specifications and traceability and can produce wholesale meat products to their customers specifications as and when required. Each week they list the producers of the meat for that week so that purchasers can be sure of the provenance of their products. The Brickyard Business Park at Steep Marsh, just outside Petersfield in Hampshire offers a range of premises for commercial and business activities: industrial units, workshops, office space and container storage facilities. The Brickyard offers a comprehensive range of units to suit most needs - from 250 sq.ft to 1750 sq.ft with all sizes in between. All units have their own individual access. All have sinks and private washroom facilities and most units have three phase power available Every unit have their own allocated parking places. The Park has several 20 foot secure insulated containers for rent - it is possible to drive right up to these containers for loading and unloading purposes. Each container provides a huge 1170 cubic feet of space. Set in a rural setting but with main road and rail links not too far away, Brickyard Business Park offers the functionality of moderm premises with the peace and quiet of the Hampshire countryside. Mousemesh was designed to keep mice from entering home via the holes in airbricks and a strengthened version - with a stainless steel rather than plastic frame - is proof against rats and is sometimes refered to as RatMesh. Judy is right - Netmums carried an extensive correspondence on the problems of slugs in the home. Mousemesh can also keep small insects such as wasps, cockcroaches and beetles out of your home. If you have any other Mousemesh success stories please contact Mousemesh - we'd love to hear from you! Creating, maintaining and promoting web sites for the Portsmouth area, Hampshire - and beyond. SiteWeave Internet Services LLP. Simple theme. Powered by Blogger.